Available at our Kountze, Silsbee, and Woodville, Texas locations! Because Fastbraces ® work differently than traditional braces, most people have questions about Fastbraces ®. Here are answers to some of the most common questions. Q. How do Fastbraces ® work? A. Fastbraces ® are designed to do what traditional braces do - only, they can do it faster. Fastbraces ® have a unique design that is able to move the top and root of teeth simultaneously. Traditional braces have to move the top and roots in two separate steps, so the process takes longer. Q. Who can wear Fastbraces ®? A. Fastbraces ® are designed to work on most children, teenagers, and adults. Q. Do Fastbraces ® hurt? A. Anytime you alter the positioning of your teeth – whether traditional braces or Fastbraces ®, there is going to be some discomfort. However, since Fastbraces ® can move the top and rooth of teeth at the same time, they cause less discomfort than traditional braces. Q. How long does it take to see the result from Fastbraces ®? A. Instead of waiting two or three years with traditional braces, Fastbraces ® can give most people straighter smiles in about a year. In fact, there are plenty of people who have seen remarkable results from their Fastbraces ® in just a few months. Q. Are Fastbraces ® safe? A. Absolutely! Fastbraces ® are the original fast and safe patented braces system developed by Dallas orthodontist, Dr. Anthony Viazis, about 20 years ago when he recognized the patients’ desire for braces treatment that could be done fast without the risks that come with the older conventional braces. With safety in mind, Dr. Viazis developed a system that could straighten teeth differently than the conventional braces, thus, allowing for a fast, safe and affordable solution. Don’t confuse Fastbraces ® with cheap imitations that don’t deliver. A. Fastbraces ® gives you lifetime satisfaction commitment! If, for whatever reason, you need braces again for some of the original crooked teeth, your provider will give you the braces again at no charge. You will simply pay for the future for two new sets of clear retainers and records. A. Typically, anywhere between three (3) months to about a year. Q. Can Fastbraces ® straighten all of my teeth? A. Absolutely. Fastbraces ® addresses the needs of all the teeth, not just the front ones. Fastbraces ® are great for kids and adults. It’s the full treatment just like the old braces; they simply move the teeth differently in order to finish in about a year. Q. Are there clear braces available? A. Yes, Fastbraces ® does offer clear brackets. 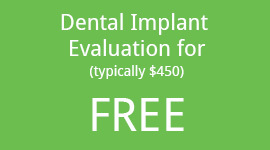 This option does increase the cost and length of treatment. If interested, please ask your doctor about the clear braces option during your consultation. Q. Do all patients qualify for Fastbraces ®? A. Most patients qualify (about 80%). The only conditions that Fastbraces ® does not address are teeth stuck in the bone (impacted), surgical (jaw) cases and TMJ (joint) pain as well as some extreme underbites or multidisciplinary (need very specialized treatment) cases. Q. Can Fastbraces ® work for adults, too? A. Of course. Fastbraces ® are great for kids and adults. Q. How is Fastbraces ® different from other so-called quick systems or even the modern-day traditional braces? A. Fastbraces ® moves the root of the teeth from the beginning of treatment in order to upright the tooth in the final straight position. Once the root is upright, the tooth is straight. This is done by using a square wire from the beginning of treatment that torques the root in position. Most other orthodontic braces start with a round wire which cannot torque the root but rather simply begins the alignment of the crowns of the teeth until the doctor can move up in wire size to a square or rectangular wire that can torque the root. Fastbraces ® can do that from the beginning. In short, other braces are usually square in shape and typically move the crowns during the first year and the roots during the second year, thus requiring around two years of braces treatment. The patented triangular design of the braces used at Fastbraces ® gently allows for movement of the crown and root of the teeth at the same time, requiring typically one year of treatment instead of two.